Looking for a local sewer plumbing company for ejector pump service in NJ? 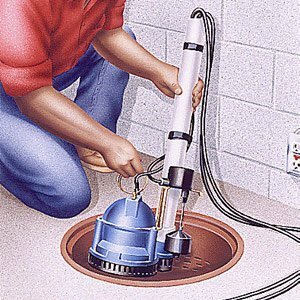 A sewer ejector pump is a must-have in any finished or partially finished basement that has bathrooms, laundry areas, or other plumbing. 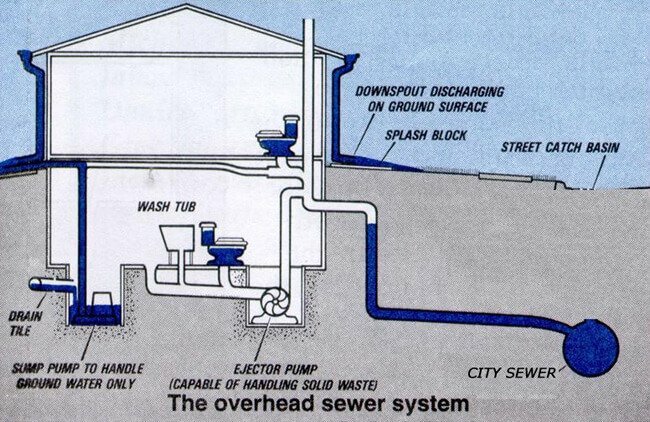 Sewage ejector pumps allow effluent to be sent up into your sewer main line, against the force of gravity, allowing toilets, sinks, and washing machines to be installed beneath the level of the sewer pipe. At A1 Sewer & Drain Services, our experienced local sewer service contractors provide residential and commercial sewage ejector pump repair, installation, and replacement in north NJ. Whether you need ejector pump repairs or sewer repair services call us any time for same-day service and a free cost estimate, including 24-hour emergency repairs, at 201-645-0888. 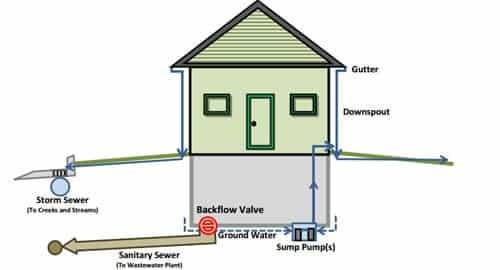 In most areas of homes and buildings, gravity is enough to ensure that wastewater flows in the right direction. Water and effluent from toilets, sinks, and shower drains travels into your sewer lateral, which feeds into a city sewer main line that ultimately transports it to a wastewater treatment plant. In basements, the sewer lateral is almost always located above the drain pipes attached to the plumbing fixtures. Obviously, gravity isn’t any help in making sure that waste flows the right way. For this reason, you’ll need sewage ejector pump installation if you have a finished basement. Sewage ejector pumps solve this problem by periodically forcing wastewater upward. 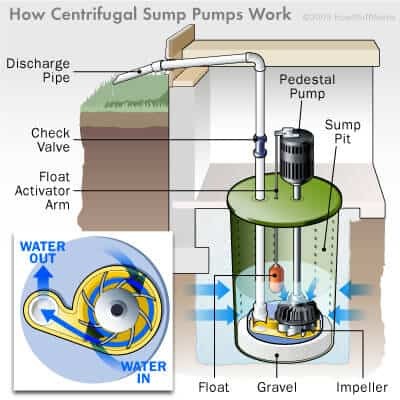 A typical sewage ejector pump consists of a single pump and a float, although many homeowners install a backup pump in case the main one fails. Some models are grinder pumps, actively breaking apart waste materials before pumping the water upward. This maceration process can make it easier for the wastewater to move smoothly through the plumbing system. Most ejector pumps have a tank, which holds a certain amount of sewage. When the float switches detect a certain fluid level in the tank, the trigger the pump to activate, which empties the tank. If you’re creating a finished basement, either as a remodeling project or in a newly constructed custom home, you’ll need sewer ejector pump installation for any bathrooms or laundry areas that you’re planning to build. Ejector pump installation can be surprisingly affordable, and it’s a must-have if you want a toilet in your basement. It’s highly recommended that you hire a professional to install the ejector pump, rather than trying to do it yourself. At A1 Sewer & Drain Services, our contractors are always available for professional ejector pump installation and ejector pump replacement in NJ. Like any appliance, your basement sewage ejector pump can occasionally stop working or break down. At A1 Sewer & Drain Services, we provide ejector pump repair service for local homes and businesses in New Jersey. Grease buildup. Sewage produces a surprising amount of greasy substances, which can build up in the ejector pump tank and prevent water from being successfully pumped away. Old, worn-out ejector pumps. Ejector pumps have a finite service life, and eventually, your existing model won’t be worth fixing. You’ll need ejector pump replacement, but fortunately, there are many great models on the market today that can meet your needs. Broken or malfunctioning float switches. Float switches detect the water level in the tank, signaling the pump to activate. If the float switches are trapped or broken, the pump may not turn on. This can potentially cause the tank to overflow. At A1 Sewer & Drain Services, our experienced plumbers provide ejector pump repair, replacement, and installation service for NJ homes and businesses. For same-day plumbing service in NJ, call us any time at 201-645-0888.